Across the United States, jack-o-lanterns, witches, goblins, and vampires turn up all over the place in late October. Of course, by that time they have been on display in retail stores for almost two months. Halloween is big business. A favorite seasonal activity is watching scary movies at home or at the theater. The biggest opening feature this season is likely to be a horror movie titled “Halloween,” a follow-up to the 1978 horror classic (both of which star Jamie Lee Curtis). Monster movies provide a specific niche within the scary movie genre. Part sci-fi, part horror, and definitely scary, monster movies have been popular since the 1920s, stretching all the way back to the silent era. Actors like Bela Lugosi, Boris Karloff, and Vincent Price built tremendous careers out of this film genre. One of the most interesting stories about scary movies dates back to World War I, when future film producer Albin Grau was serving with the German army in Serbia. During his time there, he spoke to locals who told him stories of vampires, which they believed to be real entities and real threats. After the war, Grau and his business partner, Enrico Dieckmann, established Prana Film Company and set out to make a movie. They wanted an expressionistic retelling of “Dracula,” a book telling the frightening tale of a Transylvanian vampire, written by Bram Stoker and published in 1897. Stoker died in 1912, long before “Dracula” became a household name. While he did not make much money from the book, it sold well. Before Dieckmann’s work, the story had already been converted to film. “Drakula” or “Dracula” was a Russian film produced in 1920. Unfortunately, it is lost to history. “Dracula’s Death” was a Hungarian adaptation from 1921, but it also has been lost to history. “Dracula,” the book, was already in public domain in the United States, but in Germany, the rights would not lapse until 50 years after Stoker’s death (1962). Grau and Dieckmann, therefore, would have to buy the rights from Stoker’s estate, which was under the control of his widow, Florence Stoker. Grau started work on the project before obtaining the rights. That turned out to be a mistake. It is unclear whether Florence flatly refused to give approval, or Grau just would not meet her price. Either way, a deal was never made. Prana Film never obtained rights to the story. Nevertheless, the company continued with production, and filming started in 1921. 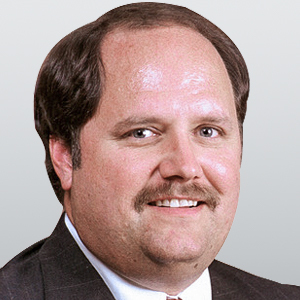 Concern over intellectual property law caused Grau to make several changes to the story. The setting was moved from Victorian London to 17th-century Germany, and Van Helsing, the vampire hunter, was completely omitted. The word “vampire” was changed to “nosferatu,” which Grau apparently thought meant “vampire” in Romanian. The lead character was not the suave aristocrat of Stoker’s book, but a bald man with pointed ears and long sharp fingers. Even the name “Count Dracula” was changed to “Count Orlock.” Other characters were renamed, and some secondary plotlines were eliminated. The final product, the film “Nosferatu,” is still considered a masterpiece of its era. It had a huge debut in 1922, with a multifaceted marketing campaign that included newspaper ads, posters, press coverage, and an elaborate opening gala at the Marble Hall of the Berlin Zoological Gardens. The screening was preceded by a stage show which included a huge dance number. After the screening, there was an ostentatious costume ball. According to some accounts, Prana Film spent more money promoting “Nosferatu” than making it. The producers, however, made a mistake. One of the film’s publicity posters included the phrase “freely adapted from Bram Stoker’s Dracula” on it. That ended up being an enormous problem when someone anonymously sent a copy to Florence Stoker. She was certain that it infringed on her late husband’s work. Florence joined forces with the British Incorporated Society of Authors, and that entity hired a German attorney to enforce Stoker’s intellectual property rights. The plan at first seems to have been to collect royalties from Prana Film. It soon became clear, however, that the film company was failing. A series of bad business decisions, including the expensive marketing campaign for “Nosferatu,” had left it teetering on the verge of bankruptcy. The lawsuit sealed the deal; Prana Film went under. When it became clear that Florence could not collect any money from the filmmakers, she went on a metaphorical rampage. She sought and obtained a court order that all copies of “Nosferatu” be destroyed. Whenever she learned of a showing or a copy in existence, she sought to have it burned. They all were, except one. It is from that one print that every copy of the film existing today was made. A copy of “Nosferatu” made its way across the Atlantic to the United States, where “Dracula” was already in the public domain. Probably due to concern over the legal actions in Germany, the movie was not immediately put into widespread distribution. In 1929, however, seven years after its German debut, the film was released in the United States. The movie—now considered a classic—was hugely popular. It was one of the first films to use stop-action shots to create magical effects. It also took viewers into character perspectives in a way that previous films had not done. Crowds grew, and more copies were made and distributed. Florence continued to try to stop the movie until her death in 1937, but the monster would not die. The film kept coming back. By 1962, the story fell into public domain worldwide, and the movie could again be shown in its native Germany. It was eventually recognized around the globe as a cinema classic. The popularity of “Nosferatu” encouraged executives at Universal Studios, and they gave the go-ahead to the 1931 classic “Dracula” (starring Bela Lugosi). The success of that film (and those that followed it) guaranteed that Hollywood would crank out vampire movies up to this very day. As the earliest vampire movie to have survived into the modern era, however, “Nosferatu” not only influenced the vampire films that came after it, it also changed vampire lore forever. Stoker’s “Dracula” was only weakened slightly by sunlight. 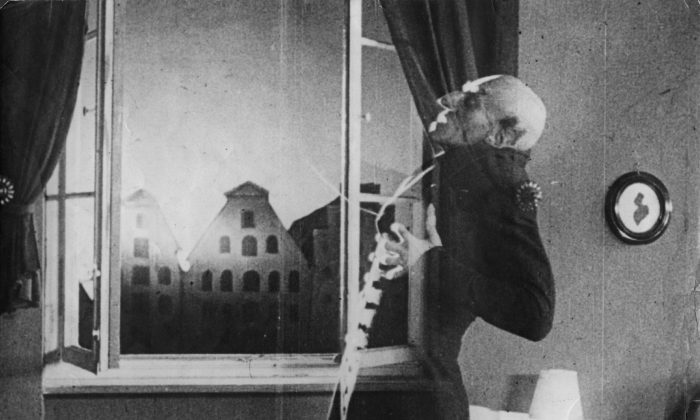 In “Nosferatu,” however, Count Orlok was destroyed by the sunlight. The idea of vampires being killed by sunlight has become such a part of the lore that in Gary Oldman’s 1992 movie “Bram Stoker’s Dracula,” which tried to be very true to the book, a narrator had to explain why Dracula could walk in the daylight in a particular scene. Another change is that a bite from Count Orlok did not create a new vampire; it killed the victim. That idea has also been adopted in many later movies. The most important thing, of course, is that without this copyright-infringing horror film, there might never have been any vampire movies at all. As it became the movie that would not die, “Nosferatu” proved there was interest in and potential profit to be had from horror movies. So, as you settle in to watch a scary movie some night soon, remember how intellectual property law and a German film company that only produced one film played a big role making that happen.